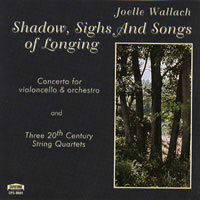 Joelle Wallach composes music for orchestra, chamber ensembles, solo voices and choruses. 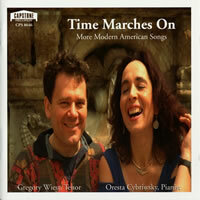 Her String Quartet 1995 was the American Composers Alliance nominee for the 1997 Pulitzer Prize in Music. The New York Philharmonic Ensembles premiered her octet, From the Forest of Chimneys, written to celebrate their 10th anniversary; and the New York Choral Society commissioned her secular oratorio, Toward a Time of Renewal, for 200 voices and orchestra to commemorate their 35th Anniversary Season in Carnegie Hall. Wallach's ballet, Glancing Below, a 1999 Juilliard Dance Theater showcase production originally commissioned by the Carlisle Project, was premiered in Philadelphia during the summer of 1994, entered the repertory of the Hartford Ballet in February 1995, and received its New York City premiere that June. 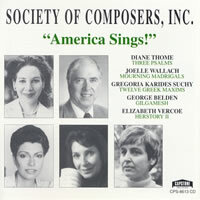 As early as 1980 her choral work, On the Beach at Night Alone, won first prize in the Inter-American Music Awards. Wallach grew up in Morocco, but makes her home in New York City, where she was born. Her early training in piano, voice, theory, bassoon and violin included study at the Juilliard Preparatory Division, and she earned bachelors and masters degrees at Sarah Lawrence College and Columbia University respectively. In 1984 the Manhattan School of Music, where she studied with John Corigliano, granted her its first doctorate in composition.